To End Foreign Civil Wars, Should the US Intervene? Civil wars are a particularly brutal type of conflict. Warring sides are trapped inside a single border, the fighting can last decades, and peace may not last once the fighting stops. While the end of the Cold War brought a reduction of civil conflicts across the globe, civil wars persist in countries like Iraq, Syria, Yemen, Afghanistan, Myanmar, and Libya. In these places, entrenched multi-sided conflict can foil traditional attempts at armistice. Monica Duffy Toft, a professor of International Politics at The Fletcher School, studies civil conflict and what history tells us is the most effective way to end them. According to Toft, most have ended in one of two ways: military victory or negotiated settlement. International organizations like the United Nations prefer to negotiate peace, but is it effective? “The international community has a strong proclivity towards negotiated settlements, so you want the parties to both lay down their arms and negotiate an end to the civil war where each of them feels as if they have a part to play in the configuration of the new state. That is the absolute preference that the international community has, and it pushes for that. We are pushing for that today in Syria, Afghanistan." Negotiated settlements, however, cannot guarantee that all sides abide to the agreement over the long term. Intergroup strife tends not to disappear just because the fighting does. “...third-party involvement is often limited to getting the parties to the bargaining table or agreeing to early participation in the immediate implementation stage. Furthermore, third parties are rarely accorded the right to impose the terms of the settlement by use of force, or if given that right, refuse to do so. Finally, not every war attracts enough international interest that third parties are willing to become engaged and stay engaged, especially militarily. So, even strong promises of intervention to enforce compliance are often not credible." “The reason is that when rebels win, they are in a position not only to harm (or threaten to harm) their populations but also to benefit them. In winning, a rebel military organization remains capable of containing moves against its government. But because it is a rebel organization, it has to appeal not only to a portion of its domestic audience for approval but also to an international community not predisposed to the overthrow of national governments. This is also consistent with the move toward the greatest level of democratization following rebel victories." If rebel victories tend to bring about best post-war scenarios for civil wars, does that mean superpowers like the U.S. should back rebel groups when their interests align with each other? Not necessarily. To be sure, every civil war is extremely complex and unique. But one thing seems to be consistent throughout history: foreign intervention tends to prolong civil wars. 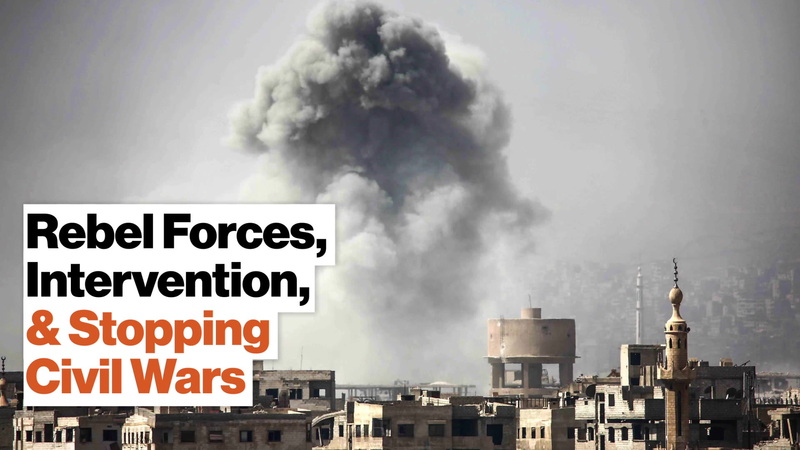 As is the case in Syria, the conflict can grow exponentially complex, costly and deadly. “There are ways in which intervention might be good, which is you're trying to pull the parties apart, not trying to pick sides—one side picking the other side—and that can sort of stop the killing. But typically before that happens if outside states are getting involved in a civil war it tends to extend it." "The proxy war problem highlights that, for the United States, ending civil wars is not merely a question of political will, but also a question of capacity. It is true that the U.S. military is the most powerful in the world, but it is not the case that U.S. military intervention will always tip the balance toward peace. Civil wars supported by external backers on all sides can persist for years, as the Syria example all too painfully shows." In addition to the contribution of resources, outside actors can prolong civil wars by making it harder to reach a negotiated settlement, because the mere presence of another actor in a civil war means now that actor's interests must also be considered or compromised with as part of the settlement. This can reduce the incentive for any one side to agree to a negotiated settlement — which, short of a rebel victory, might be the best possible outcome for a nation engaged in civil war. There is no one-size-fits-all solution for ending civil wars. 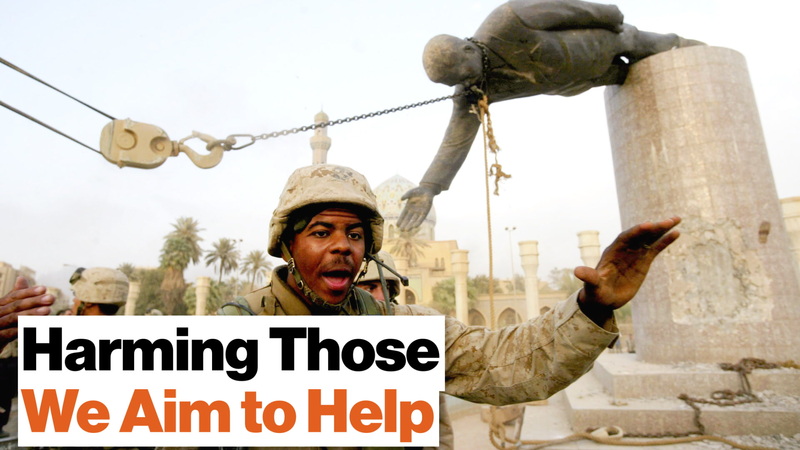 But given the United States' recent track record on intervention, it seems critical to take a close look at what history has to say about the best ways to end civil wars. If the goal really is to stop bloodshed, the hard reality about intervention might be that less is more in certain conflicts.